Look at what I picked up at the post office today! Sweeetttt!!! 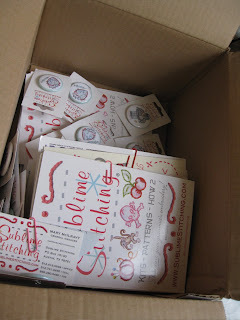 Thanks to Mary and her team at Sublime Stitching for their swag bag contributions!